Above: For the luxury shopper, my favorite source for especially unique ikat rugs, pillows, and fabric is Madeline Weinrib. Ikat is a weaving style where threads are resist-dyed on either the warp or weft before they are woven to create a pattern or design. 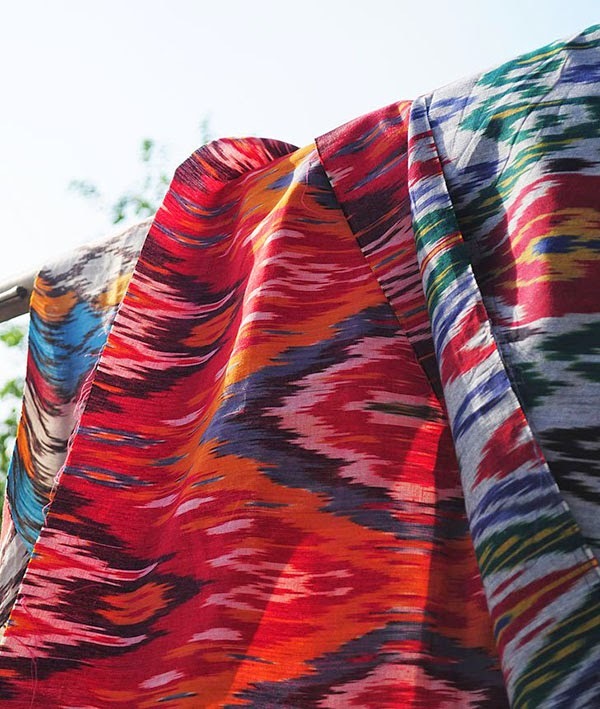 While ikat has been practiced for centuries in many parts of the world, it was in the 19th Century that it reached its zenith in Central Asia. 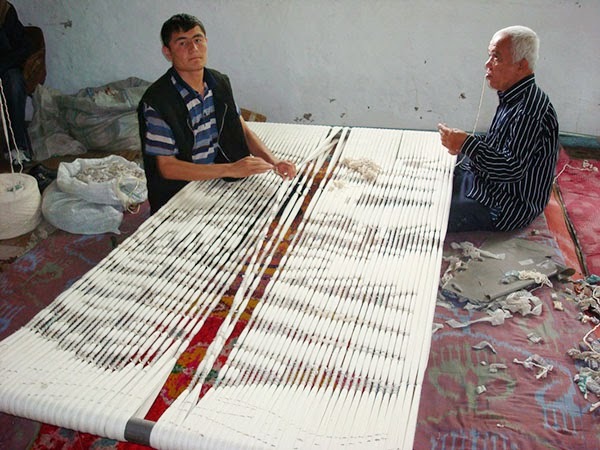 Ikat production in Central Asia was largely centred in what is modern-day Uzbekistan and Afghanistan, as these lay along the trade route between China and the Mediterranean. References to Central Asia, or specifically landlocked Uzbekistan, conjure up images of flat, rolling sandy deserts and a vast arid landscape. However, upon closer look Uzbekistan’s traditional ikat masterpieces showcase colors so vivid that the eyes are mesmerized by their distinctive beauty. 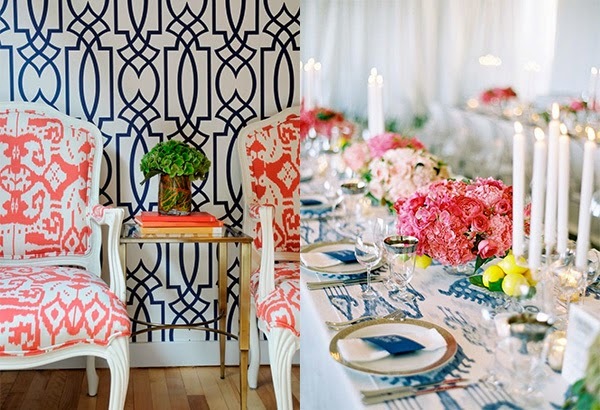 The vibrancy of traditional Uzbeki ikat really does do justice to the name. In Persian, ikat is called ‘abr’ or ‘cloud’, as ikat is considered to be a wondrous reflection of the clouds in still water, a much needed refuge from the heat and aridity of the parched landscape. Above is an ikat making cooperative, which employs several families and local individuals all of diverse backgrounds. While women tend silkworms, men generally work the looms. Traditionally, ikat fabrics were used as markers of status in clothing or as wall hangings within homes. 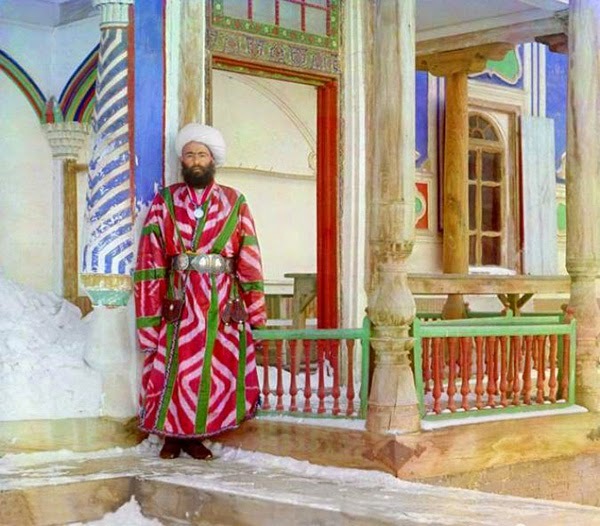 Specifically, traditional Uzbek ikats were used to denote wealth, status, prestige and power. 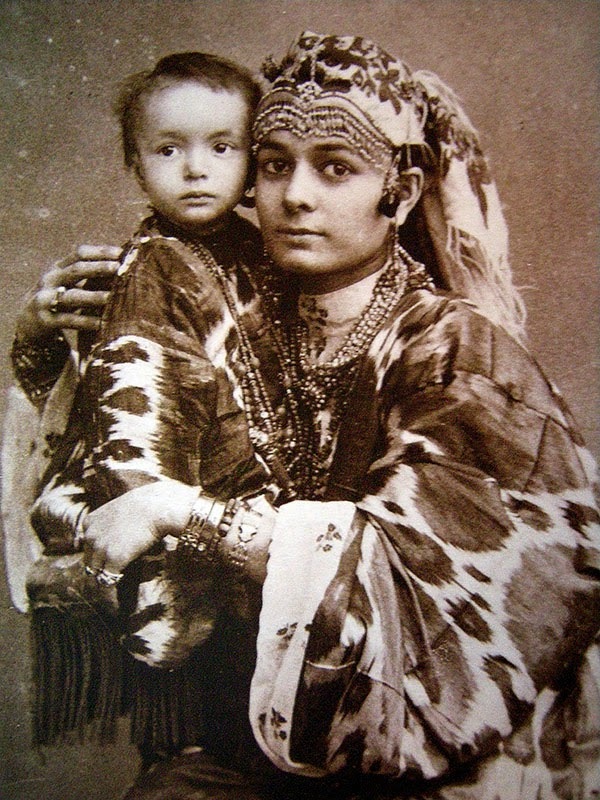 However, even poor members of the society could be found with tattered pieces of ikat on their outfit, still noticeable in old photographs of dervishes. 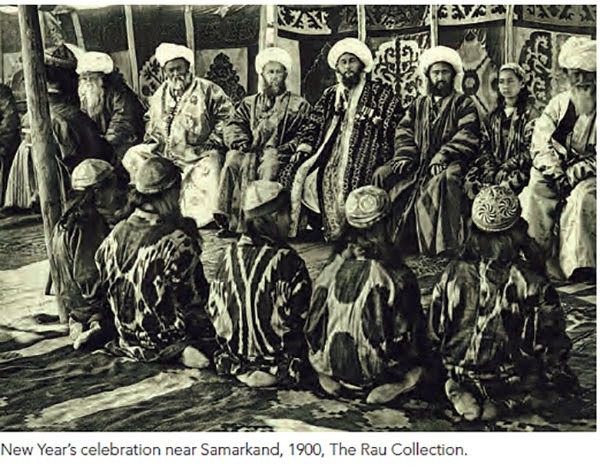 Within and along the borders of Central Asia, silk and cotton ikats had social and political value, being used in diplomatic exchanges, gifts to monarchs in lieu of payment for services rendered, and even as dowry. The bold originality ikat designs was considered to symbolise the mystical Islamic world. Today, rich silk ikats are the national fabric of Uzbekistan and are a reminder of the textile glory of Central Asia. 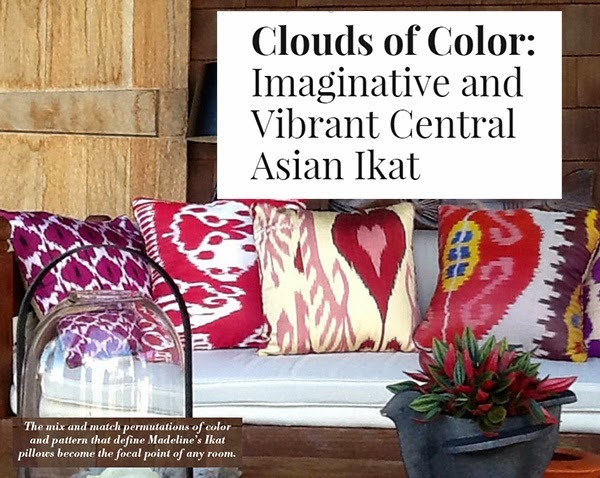 The imaginative design and vibrancy of ikat fabric lends itself to adding color to a modern home or stylish wardrobe. With such a rich history and rich aesthetic, the unparalleled beauty of this textile & tradition continues to lure collectors, textile historians and art lovers, who wish to preserve it for many years to come. 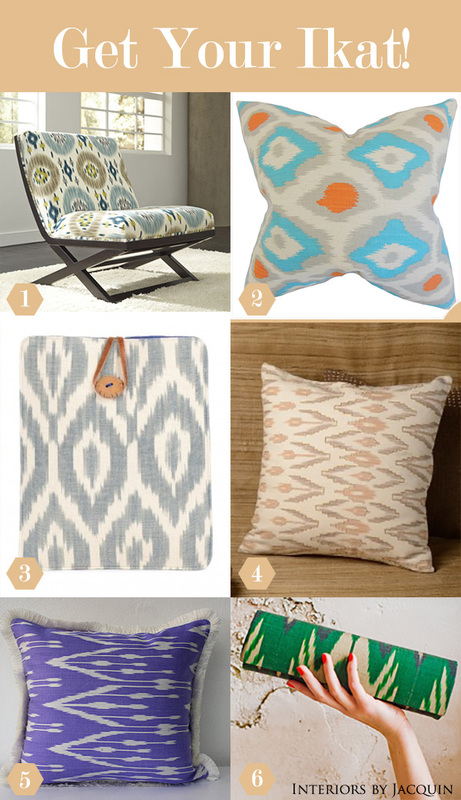 And now I’ll leave you with one last touch of ikat inspiration below. 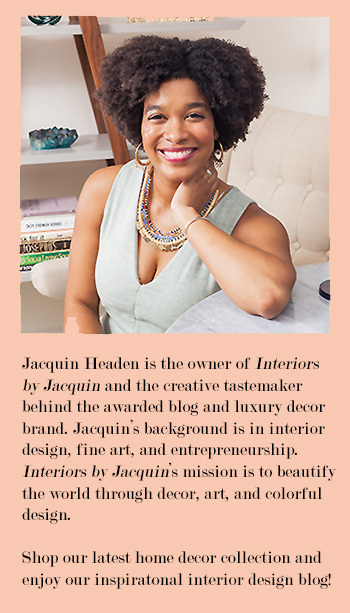 I hope you’ve enjoyed this global perspective on Interiors by Jacquin today. I plan to keep the international content coming… after all, style transcends boundaries! Be sure to subscribe!